According to Statistics Canada’s National Cannabis Survey, about 16% of Canadians reported using marijuana in the past three months leading up to legalization. That means that more than 4.6 million Canadians are using cannabis – and that percentage climbs higher in provinces like Ontario and Nova Scotia (18% and 21% respectively). This is not an insignificant amount of users and poses an intricate challenge for condo boards and residents. 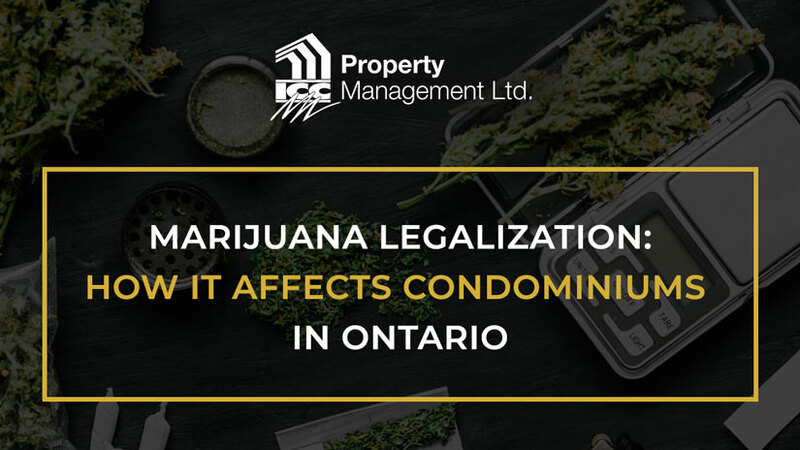 While new federal and provincial legislation is now in effect, there is still uncertainty in the air for Ontarians about how exactly marijuana legalization impacts condominiums. 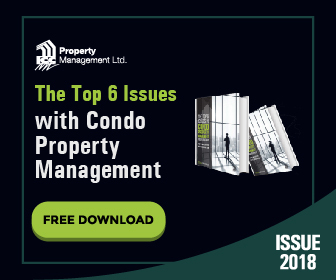 How Does the Cannabis Act Affect Condominiums? In an effort to clear up any confusion, the Condominium Authority of Canada (CAO) published a report providing any general information around recreational cannabis legalization. And, grow up to 4 plants for recreational use per resident/unit (not per occupant). Any smoking of cannabis in indoor, condominium common areas is strictly prohibited. This includes parking garages, party or entertainment rules, laundry facilities, lobbies, exercise areas, etc. What About the 4 Plants Per Household Rule in Ontario? There is still confusion around the 4 plants per household rule regarding condos. While legally, condo residents are allowed to grow up to 4 plants, condo owners have brought up numerous concerns. How does it affect residents’ health within the unit or neighbouring units? Will will the potential introduction of micro-bugs affect the condominium community? What are the risks around mould forming? Will it increase the consumption of electricity, water, or other utilities? To combat these concerns, boards are able to pass new rules that prevent any unreasonable interference with condo residents’ use and enjoyment of common element spaces and individual units. And even without any rules set in stone, most condos have restrictions against odour and smoke that creates any nuisance. However, this topic will remain complicated until proper research can be produced on the effect of growing marijuana in a condo unit. 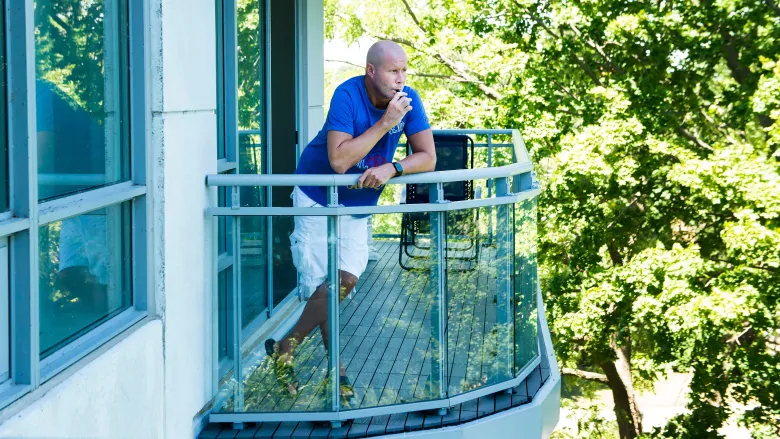 Do Cannabis Laws Compare to Ontario Condo Smoking Laws? To predict how condo boards will tackle marijuana legalization, we can look at how they are currently tackling smoking. Under The Smoke Free Ontario Act, smoking in common areas of multi-unit buildings such as apartments, condos, and co-ops is prohibited. Additionally, different municipalities have passed their own legislation, such as the City of Toronto Bylaw that prohibits smoking within nine metres (30 feet) of any entrance or exit of a building used by the public. Further, it is perfectly legal for landlords, condo boards, or property owners to make their buildings 100% smoke-free. In the case of any smoking rules put into action by a condo, current residents who are smokers are able to be ‘grandfathered’ into the rule, allowing them to continue to smoke for a period of time. In all likelihood, recreational use of marijuana in condos can be treated similarly. If your condo already bans smoking within units, that can be amended to include marijuana use. Again, it’s important to remember that regardless of any amended rules, it is illegal to bar the use of medical marijuana from a licensed medical professional. What Have Condo Boards Been Doing About Legalization? Condo boards have been busy in the months leading into legalization, racing to pass rules on cannabis in order to avoid any ‘grandfathering’ issues. Because Ontario’s tenancy laws make it illegal to change a lease before it ends, if condo boards were slow on the draw in enacting any rules before legalization went into effect, they would be unable to bar the use of marijuana for a period of time. No smoking or growing marijuana inside units and common areas – including balconies and patios – and no deliveries of marijuana to the building. Medical marijuana is exempt from these rules. How Much do Condo Property Management Services Cost in Toronto?